Inflation Rate in Costa Rica averaged 15.16 percent from 1977 until 2016, reaching an all time high of 108.89 percent in September of 1982 and a record low of -1.20 percent in November of 2015. Inflation in Costa Rica is tricky. In the U.S. it usually means prices simply increase. 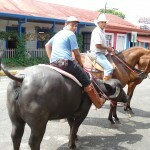 In Costa Rica, it’s likely that the price will stay the same, or slightly increase, but the quantity of goods is reduced. The rag rug is an excellent example. 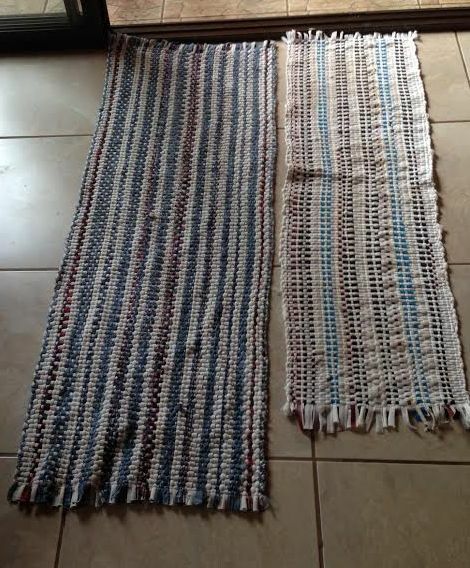 Both rugs cost 1.5 mil (about $3.00) from a street vendor. The one on the left was purchased four years ago. The one on the right – last week. I’ve noticed that packaging such as cans and bottles become smaller too. In the U.S. retailers demand that packaging remain consistent because of transportation and warehousing issues as well as shelf-space allocation. Not so in Costa Rica. A store will just stop carrying the larger size and slot whatever they are sent. This is true with the big box stores as well as the mom-and-pop stores. Inflation can pull the rug out from under you in Costa Rica!